Rocket Lab's Electron rocket zooms into orbit. The Air Force is desperate to replace larger satellites that are vulnerable to attack, and fast. 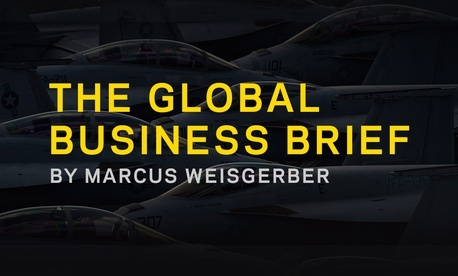 Don’t miss this week’s Global Business Brief, which dives into how U.S. Air Force leaders want to change space. DARPA will ask, by announcing a contest with a $10-million grand prize to any company that can launch two small satellites into orbit in a matter of days. Adding to the difficulty: Competitors will be told where their first launch site is just weeks before the contest, and given the details of the payload and where it is going days before. Once they make their first successful launch, they will have just a few days to go to a second site and launch again. That’s compared to timelines longer than six months for most launches. Peter Beck is the CEO of Rocket Lab, the first of the new small rocket companies to actually deliver satellites into orbit. His company will examine the rules before deciding whether to compete, but he told Quartz that “it’s great to see government validation of our business model.” Currently, small satellites launch as secondary payloads when they can fit in behind large spacecraft typically used by governments and established satellite firms. Rocket Lab and its competitors want to provide dedicated service to the next generation of small spacecraft. The challenge itself won’t be easy, since the obstacles to frequent launch are as much legal and operational as technical. Indeed, the timing of the contest is in part timed to the Federal Aviation Administration’s launch licensing process, which can take more than 180 days. But at the Space Symposium, cutting through red tape has turned into a national security issue. Secretary of the Air Force Heather Wilson, the civilian official overseeing military space programs, described the current constellation of US satellites as “exquisite glass houses” built “in a world without stones.” Now, as Russia and China demonstrate anti-satellite weapons, there is a need for more resilient systems. One approach is to use many small satellites, operating as a distributed network, instead of one large, inviting target. “What we’re defending is far more expensive than the cost of the attack, and we’ve got to flip that,” US Air Force chief of staff David Goldfein told reporters at the conference. Beyond resilience, small satellites could offer new capabilities that the US currently lacks. North Korea’s ballistic missile program has inspired renewed interest in using space-based sensors to detect attacks. The Defense Innovation Unit, Experimental (DIUx), another Pentagon technology program, is funding start-ups developing small radar satellites and machine-learning tools to analyze their data. Rapid launch of small satellites has eluded the US military for years. DARPA alone has funded at least five previous attempts, including SpaceX’s first rocket, Falcon 1, and a scheme to launch satellites from fighter jets. 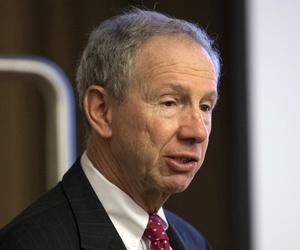 The current Defense Department official who signed off on this contest, undersecretary Michael Griffin, worked on rapid launch systems as a leader in the Strategic Defense Initiative in the late 1980s. All told, DARPA will offer $30 million in prizes to competing firms, who are invited to meet with government officials at a Los Angeles on May 23. Aside from Relativity, which isn’t likely to have a rocket ready in time to compete, potential competitors include Rocket Lab; Vector, a firm started by veteran engineers Jim Cantrell and John Garvey; Virgin Orbit, a Richard Branson-backed company developing an air-launch system; and Astra Space, a stealthy startup that recently scrubbed its first test launch. 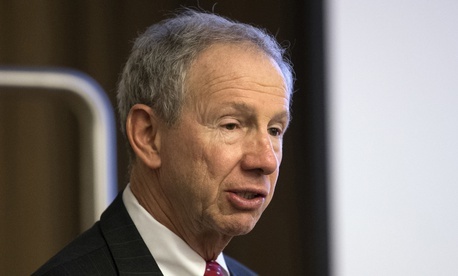 Master said that, while the money won’t necessarily cover the expenses of the largest companies, the possibilities of follow-on launch contracts from the US military provides an additional incentive. How to launch small satellites has always been a “chicken and egg problem,” Master said, with small satellite companies failing because they couldn’t get to space, and small rocket companies failing because there weren’t enough small satellites to fly. With private investors now attacking the problem from both sides, the government has little choice but to join in. “We’re seeing that breaking from both sides,” Master said. 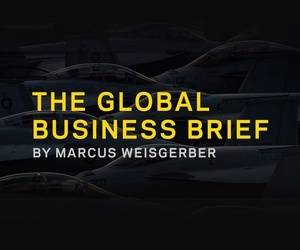 BREAKING: Drone-export rules to relax; Air Force leaders want to change space; Chat with Boeing's defense boss; and more.